A campaign that aims to further reduce supply and demand for illegal tobacco, including stopping dealers who sell to children, has been relaunched across West Yorkshire. 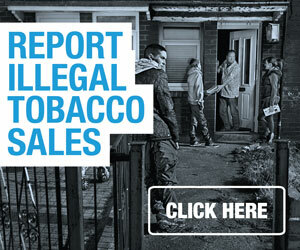 The trade in illegal tobacco makes it easier for children to start smoking, harder for adults to stop and brings crime into local communities, and has been linked to the funding of terrorist activities. The Keep It Out campaign which originally ran in summer 2014, was setup by the Tackling Illicit Tobacco for Better Health Programme – which is made up of Bradford, Calderdale, Kirklees, Leeds and Wakefield councils. Since the start of the programme combined efforts of regional partners have led to over 900,000 illegal cigarettes and 330kg of hand rolling tobacco being seized, worth an estimated street value of around £157,500. Last month West Yorkshire Trading Standards seized over 37,000 cigarettes and 22kg of illegal tobacco worth more than £10,000 during a large scale operation against illegal tobacco as part of national ‘Operation Henry 2’. David Lodge, Head of West Yorkshire Trading Standards said: “We will not stand for anyone selling illegal tobacco in our communities. 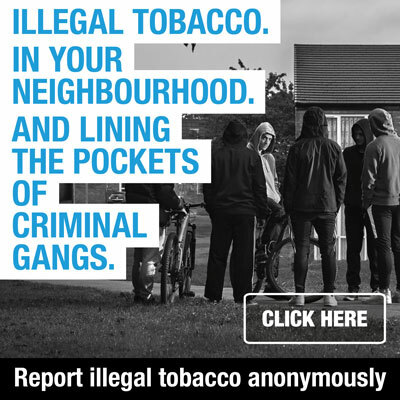 Children and young smokers are often targeted by people who sell illegal cigarettes, making it even easier for them to get hooked on smoking. The people making money out of this do not care who they sell to. Dr Andrew Furber, President of the Association of Directors of Public Health and Director of Public Health for Wakefield Council said: “All tobacco – both legal and illegal – kills half of all long term smokers. In 2014 a major independent survey of over 1,200 smokers and non-smokers across West Yorkshire and York revealed just over a third of smokers had been offered illegal tobacco, with 85% of adults reporting they are concerned about children and young people getting hold of it. The campaign is also being delivered as part of the wider Breathe 2025 vision, set-up by councils across Yorkshire and the Humber in order to inspire a smokefree generation and improve the future for our young people.